The Most Admired Companies of Sri Lanka have been selected and will be unveiled at the Awards Ceremony on Sunday at Shangri-La, Colombo. The Awards are organised in partnership by the International Chamber of Commerce, Sri Lanka (ICCSL) and the Chartered Institute of Management Accountants (CIMA) Sri Lanka. 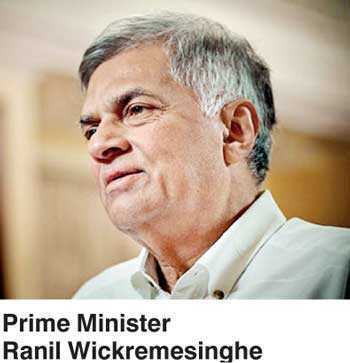 The event will be attended by Prime Minister Ranil Wickremesinghe as the Chief Guest with CIMA President Steven Swientozielskyj, FCMA CGMA and ICC India President Jawahar Vadivelu as the Guests of Honour. The Knowledge Partner for the Awards is Aon Hewitt India and the Assurance Partner is KPMG. The event is held in association with Daily FT and AIA Insurance. These awards were intended to recognise companies that are a cut above the rest in terms of not just their financial performance but also on the value they create for their shareholders, customers, employees and the general community thus attesting to the admiration of the nation. The companies within the Top 10 are those that inspire other organisations and entrepreneurs. They have proven their mettle with consistency, significant and sustainable growth, resulting in excellent business performance. After starting with 180 companies named as most admired by employees, competitors, and stake holders through a public survey run via Dialog, the judges selected the top 10 companies using a rigorous selection and interview process based on eight financial and seven qualitative criterion such as valuing human relationships, teamwork, fighting complacency and attacking big social problems, etc. Other judges included Managing Director, Sri Lanka Tourism Promotion Bureau, Sutheash Balasubramaniam, FCMA, CGMA, President’s Counsel, Dr. Harsha Cabral, Chairperson and Chief Executive, Sri Lanka Export Development Board, Indira Malwatte, Partner in Charge, KPMG, Reyaz Mihular, FCMA, CGMA and Management Consultant Deepal Sooriyaarachchi.